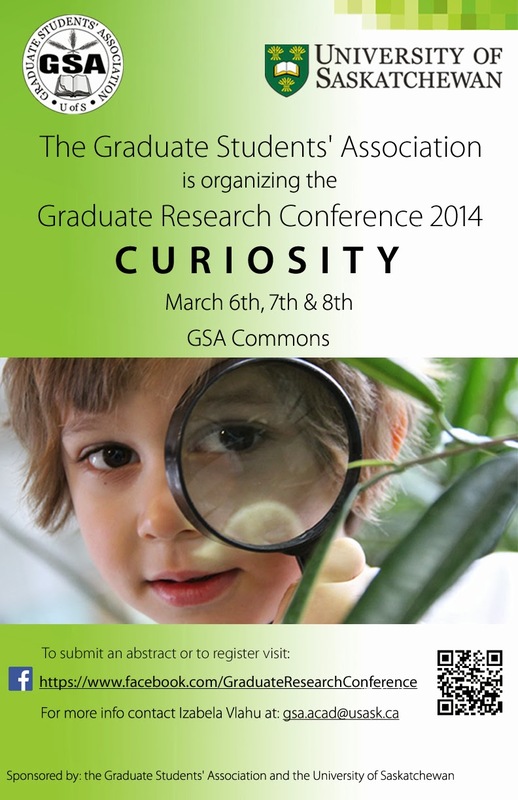 The Graduate Student's Association at the University of Saskatchewan is hosting their first research conference from March 6-8th, at the GSA Commons. The conference will feature presentations from Fedir Razumenko, Erin Spinney, Frances Reilly, Amy Samson, Jessica DeWitt, Laura Larsen, and Glenn Iceton. The full conference programme is available here.